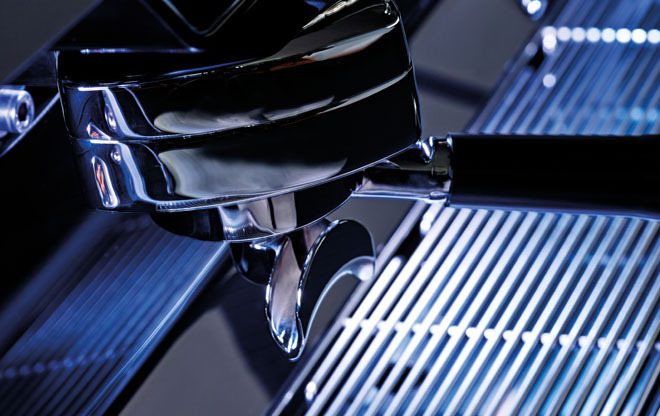 An expression of authentic know-how and the result of incorporating state of art technologies, the Reneka espresso machines strive for perfection. Highly professional it combines performance, ergonomics and design to achieve the best results! With Aroma Perfect, Reneka completely redefines the technology standards! 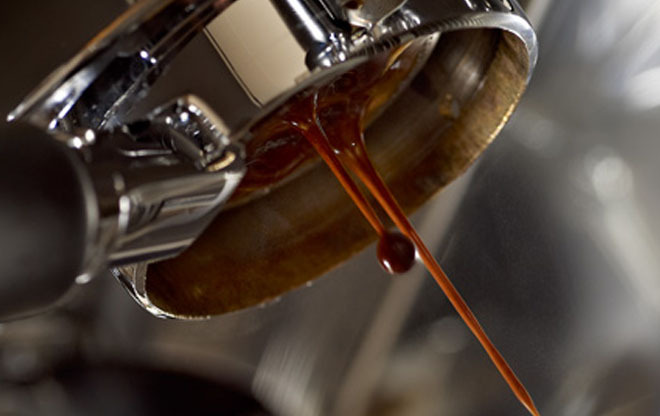 The patented Aroma Perfect brewing unit guarantees opti­mum tamping pressure. Thanks to its technology, the brewhead automatically adapts to the amount of coffee and support changes in dosage to ensure a perfect tamp pressure for a per­fect extraction cup after cup. Result : full coffee aroma while preventing under or over-extraction. 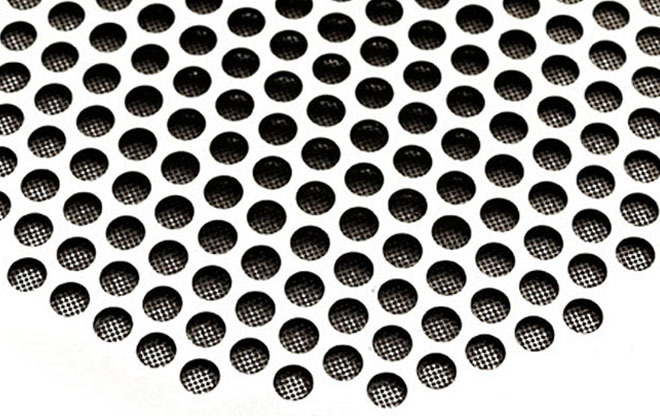 Ergonomy : easy insertion of the filter holder for a perfect fit. An integrated stop concept closes the brewing unit in the accu­rate angle every time. Patented technology minimizes the pressure on the brewing unit seals – which translates into less wear and lower maintenance costs. The cold water mixer enables a precise adjustment of the extraction temperature to improve steam power and brewing temperature of the coffee, which can be adjusted in multiple regulation steps. The weight of the brewhead compensates temperature inconsistencies with its excellent thermal characteristics. Regardless of the amount of water drawn the PID adjusts with high precision and low hysteresis. Diversity for tenfold pleasure. The Multicoffee System filter holder- used exclusively on Aroma Perfect - offers the operator maximum flexibility in the preparation of coffee. Result : freshly ground coffee, common capsules, pads and pods can be used on the same Reneka espresso machine thanks to a patented Aroma Perfect brewhead that adapts to any type of coffee format. Automatic milk steamer. This exclusive system produces fast and easy preparation of milk frothing for a creamy, shiny and tasteful result! Result : the milk is effortlessly emulsified through the steam tip. The built-in temperature control system cuts off the steam flow at the pre-set temperature and thanks to its Ventury system, every type of milk can have his own setting. Two functions pos­sible (without removing any parts): Steaming milk or heating milk. 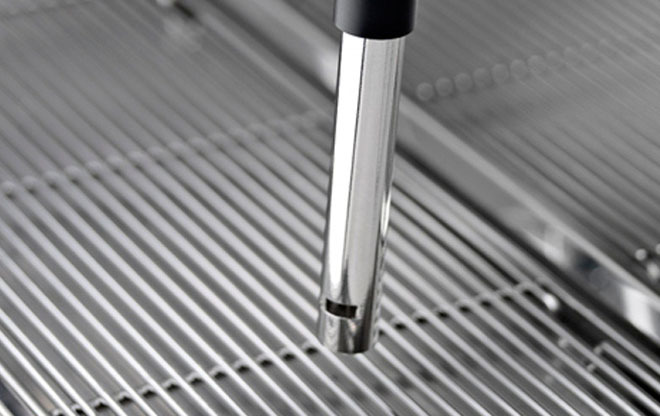 Automatic cleaning system pro­gram on LIFE / LIFE HIGH CUP ranges.